Mozilla has a number of products under their umbrella, but the Firefox team has historically stuck to doing what they do best: working on the browser. This has done them well even though they aren’t the most popular option on the market right now. The company has been working hard on their new rendering engine, but it seems as if they have also been working on a new project as well. 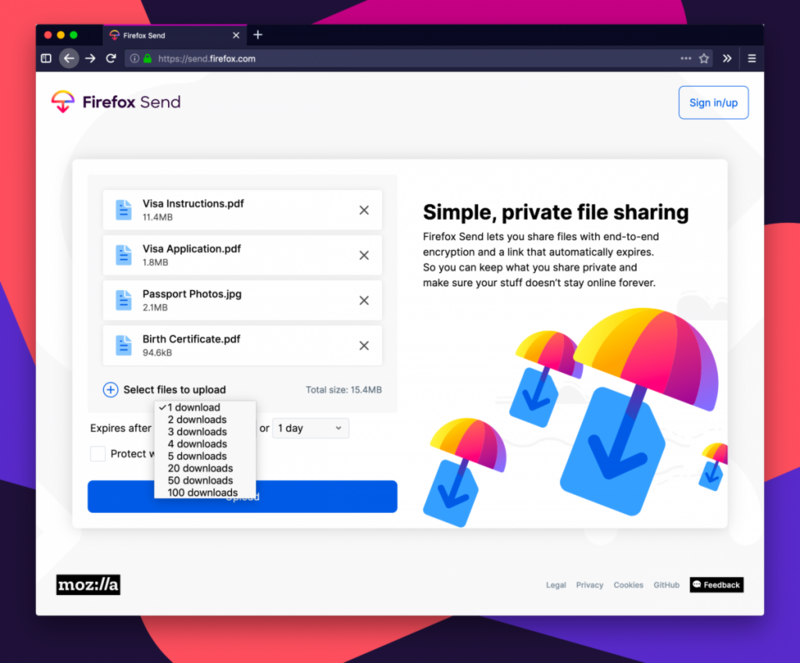 The company just announced a new service called Firefox Send which is a free encrypted file transfer service that lets you set how many times it is allowed to be downloaded before it is deleted. This is interesting because ephemeral messaging (popularized by Snapchat) has become quite mainstream over the years. This is another take on that basic idea of putting something online but making sure it goes away after a set number of units. For ephemeral messaging it is a set amount of time (or views), while Firefox Send from Mozilla is a file sharing service with a set number of downloads. This is great for those times when you need to send an important document but want to make sure it gets destroyed after it has been downloaded by the recipient. The file sharing service is free for everyone to use and will let you upload a file as big as 1GB in size. However, you can increase this file size limit to 2.5GB by using a free Firefox account when you choose to upload a file. 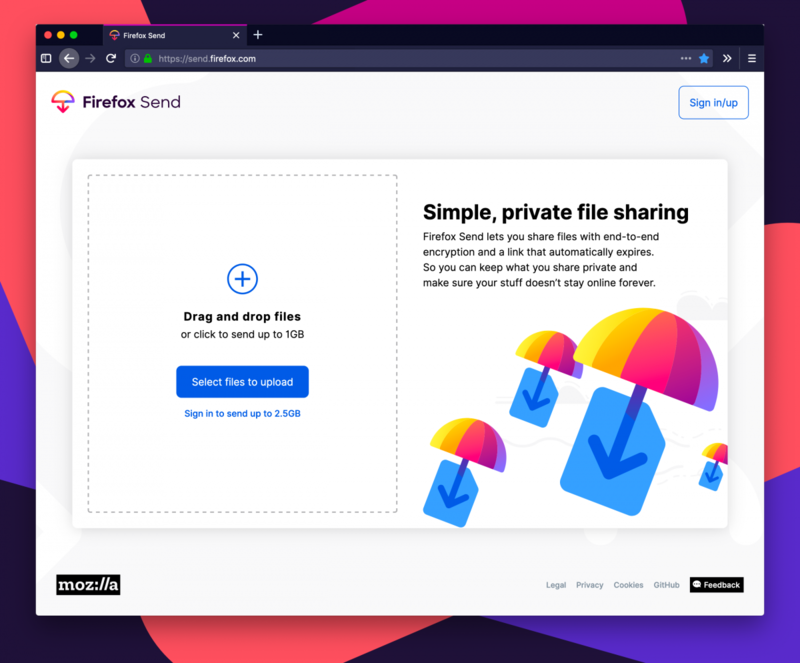 As mentioned, Firefox Send uses end-to-end encryption to keep your data secure from the moment the upload begins until the user downloads it to their device. The user can choose to set how many downloads the file can get and set a timer (by the number of days) for it as well. The file will be hosted when it has been downloaded X amount of times or that specific amount of time has passed (whichever comes first). It’s interesting to see Mozilla using this feature under the Firefox brand name, but it could encourage people to use the Firefox browser more. Although, you can use the service with any web browser by going to send.firefox.com, so it isn’t tied to the Firefox browser at all.